My all-time The Voice UK favorite artist is back! Bo Bruce, who is one of the runners up of The Voice UK Season 1, is back on the scene with the fresh-from-the-pot music video of The Fall. Her out of this world voice and song is matched by yet another mystifying visual interpretation of the song. The Fall, which is said to be included in Bo Bruce's upcoming album, showcases some hair-rasing moments that only she can do. Her unique and beautiful voice simply brings me to another dimension as if I am experiencing it with a drunken point of view. That is the very thing why I liked her so much. Why did I see this music video just now? How come I've missed it? 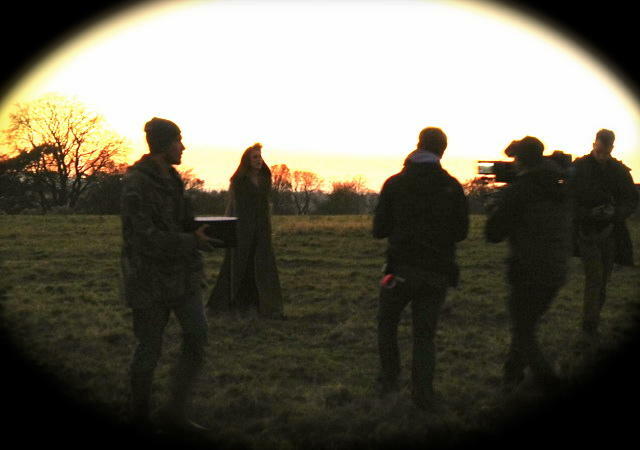 It was released last Wednesday and I've been waiting for its release since Bo Bruce tweeted a photo, which you can see below, taken during the shoot of the music video. I must admit that I am a little teary while listening to the song and watching the video. The experience chronicled in the song is definitely what I am experiencing and feeling right now. I might be a little teary, but for some reason it somehow comforted and calmed me to the point that I forgot the dilemmas of the moment. That's why I love Bo Bruce a lot. She has the music that touches the soul and intensifies any emotion that is reflected in her song. If this is the kind of songs included in her yet-to-be-named album, then I am definitely putting it my must-have list. You can download The Fall by Bo Bruce for free in here!